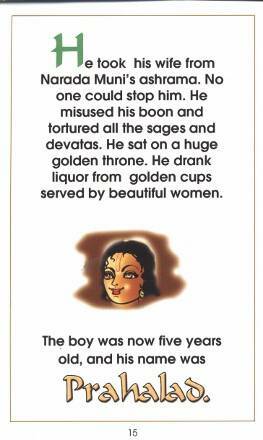 The story of the child devote Prahalad who was put into a very difficult position by his demoniac father, Hiranyakasipu. 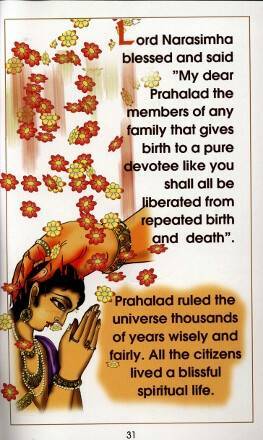 Prahalad's father got so angry with him that he wanted to kill his son. 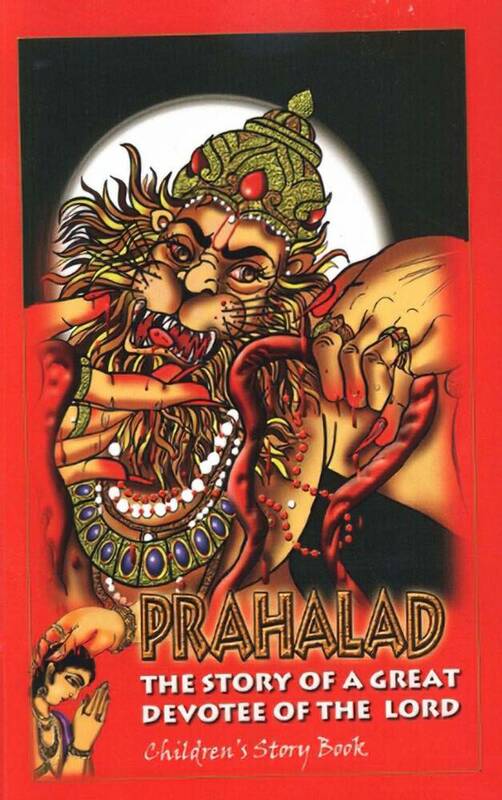 To prevent this demon from killing his devotee son the Lord appeared in a wonderful form, half-man, half-lion, called "Narasimhadeva" to protect His devotee Prahalad. This book is based on the teachings of and dedicated to His Divine Grace A.C. Bhaktivedanta Swami Prabhupada.